Lilac House | Historic Jacksonville, Inc. The “Lilac House” at 401 N. Oregon Street just outside the Jacksonville city limits was constructed in 2005 based on the 1909 plans of brothers Greene & Greene, influential early 20th Century architects whose Craftsman “bungalows” are prime examples of the American Arts & Crafts movement. Equally notable, the house stands on the site of an earlier landmark, the J.N.T. Miller house. James Napper Tandy Miller had arrived in Jacksonville in 1854 and taken out a land claim adjoining James Clugage’s claim encompassing the town’s historic core. By 1855 Miller had constructed a 1 ½ story wood frame Classical Revival style home for his family. Miller became a well-known figure in State politics, rising to the rank of Colonel in the Indian wars, elected a State Representative in 1862, and elected State Senator in 1866. He chaired the county’s Democratic Central Committee and began publishing the town’s Democratic Times newspaper. 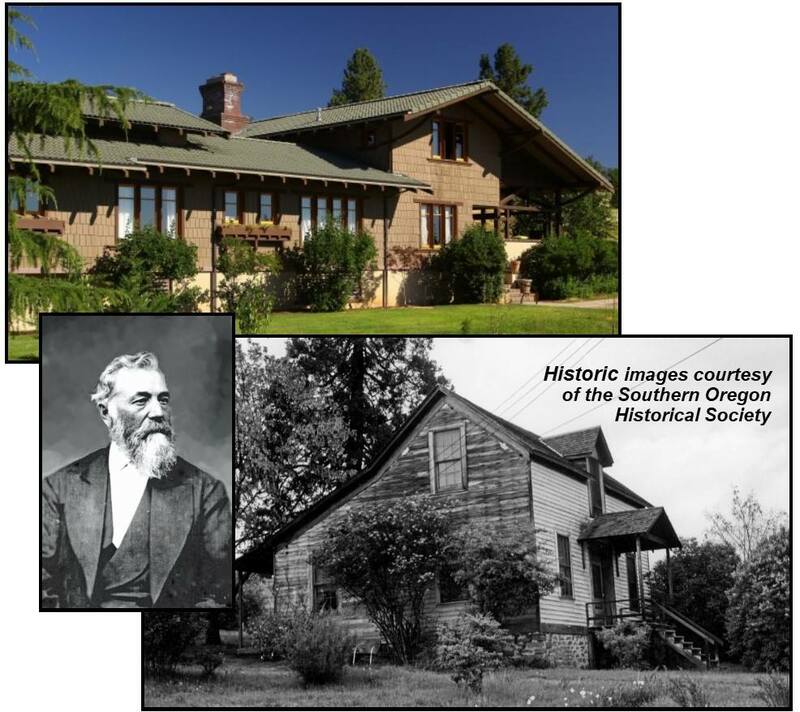 Miller was also a farmer, grazing cattle, planting 10+ acres in orchards, and establishing one of the earliest and largest vineyards in the county known for “the superiority of its fruit” that produced several thousand gallons of wine annually.